This is a page for you: our Wellington community. 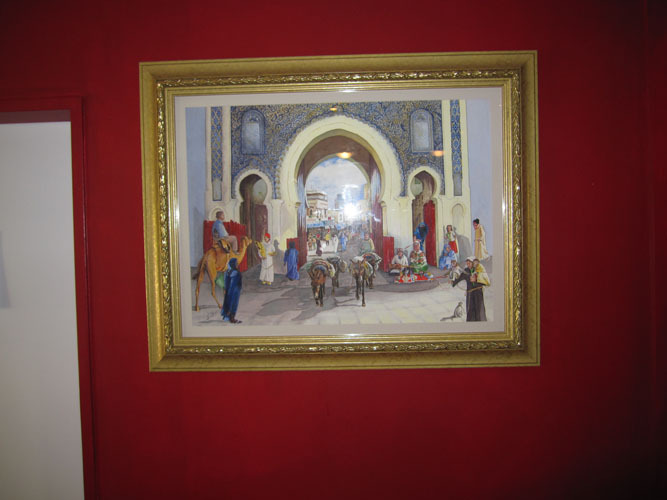 The aim of this page is to reflect on local family stories and traditions across all cultures. We value your contributions and comments. Esmotallah Hussaini is from Afghanistan and comes to Newtown library every Wednesday with his class. He is also a big cricket fan and of course wanted to support the Afghani cricket team. Here is his story! 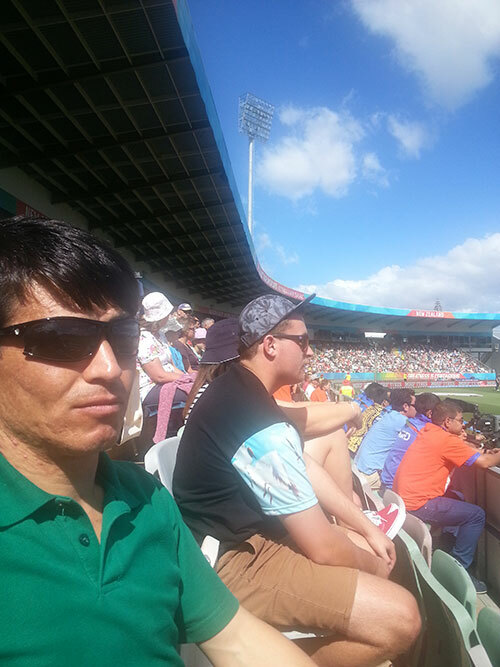 I went with my friend to watch the Afghanistan cricket team in Napier on the 8th March 2015. We left Wellington at about 3pm on the Saturday and my friend drove us up. It took us about 4.5 hours to get there. We stayed in a motel near Napier on Saturday night because all the motels were full in Napier. When we drove up I saw a lot of horses, sheep and cows in the fields. I also saw orchards with apple trees and vineyards. It was very different to Afghanistan because the trees and grapes were planted in neat rows. Many Afghani people came from all over New Zealand to watch the cricket. I didn't play cricket in Afghanistan but I have played a game of cricket with my English class at MCLaSS. I felt very happy watching the game because it was my first time in Napier. It was warmer than Wellington. At the cricket all my friends would dance if the bowling was good. Sometimes the loudspeaker would play Afghani music and sometimes New Zealand music. I recognised one of the NZ songs which I like called 'Something in the water' which we listen to in my class. Afghanistan played very well but New Zealand was the best. I think they may be the world cup winners. Afghanistan played better than Australia against New Zealand. I heard the reporters say this! We drove back to Wellington that night. I felt very happy because we laughed and joked a lot in the car, listened to Afghani songs and stopped along the way to look at the views. Multicultural Learning and Support Services — offer employment and Language services for refugees and migrants whose first language is not English. They offer general and pre-employment Beginner English courses in Wellington, Porirua and Lower Hutt. I am Faeze, an Iranian 33 year old woman. I immigrated to New Zealand with my family consisting of my husband, my 7 year old daughter and my 5 and half year old son. We came here so that my husband could study for a PhD in Architecture at Victoria University of Wellington. In Iran my husband and I were lecturing at University for some 7 years. Although I have visited four other countries New Zealand is the furthest from Iran and very interesting and foreign for me. Everything such as the culture, climate, architecture, and type of shopping is more different than I could imagine. As an Iranian Muslim woman, I think my experience would be helpful for many newcomers to New Zealand. Being a Muslim for me means wearing Hijab, eating Halal meat, needing special toilets, and attending the Mosque some days. Fortunately, New Zealand is a democratic country and Muslim women are welcome to wear their special clothing and many do. 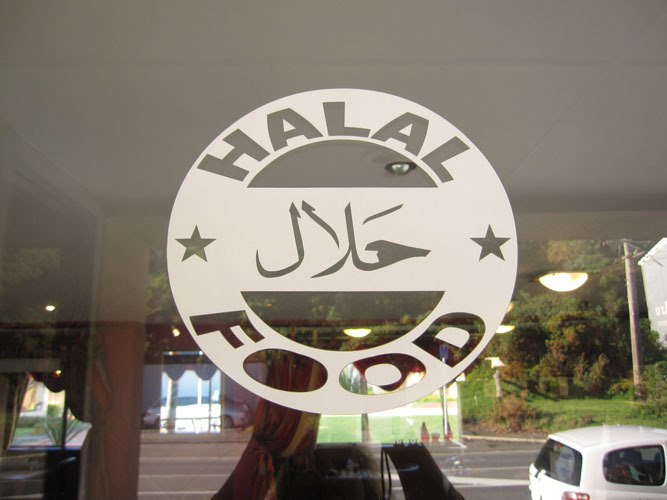 There are two butcheries offering Halal meat to Muslims in Wellington and some chicken products are Halal. Muslims usually have special plumbing in their houses but unfortunately public toilets do not cater to this need so this restricts Muslims' use of public spaces. The only mosque in Wellington is in Kilbirnie and this serves as a gathering place for Muslims. Most Muslims come from countries with hot climates and so feel very cold in Wellington especially in the old wooden houses. We have to adapt to the new climate. Despite these problems I think Wellington is one of the most beautiful and clean cities I have ever seen and the people are lovely and kind. The forest and sea provide pleasant times for families on holidays and attract many tourists each year. Loving behaviour towards children and a high standard in education has made New Zealand a paradise for kids who will be educated in a safe and healthy place. Many people ask me where I am from and often do not know a lot about Iran's history and customs. The history of civilization in Iran goes back to more than 5000 years ago. Ruins of the palace, Persepolis, in Fars Province is one of the most popular destinations for tourists from all over the world. Persepolis was the ceremonial capital of the Achaemenid Empire. UNESCO declared the citadel of Persepolis a World Heritage Sit in 1979. I was born in Yazd, which is of foremost importance as a centre of Persian architecture in Iran and is also one of the largest cities built almost entirely out of clay. Because of generations of adaptations to its desert surroundings, Yazd is an architecturally unique city. 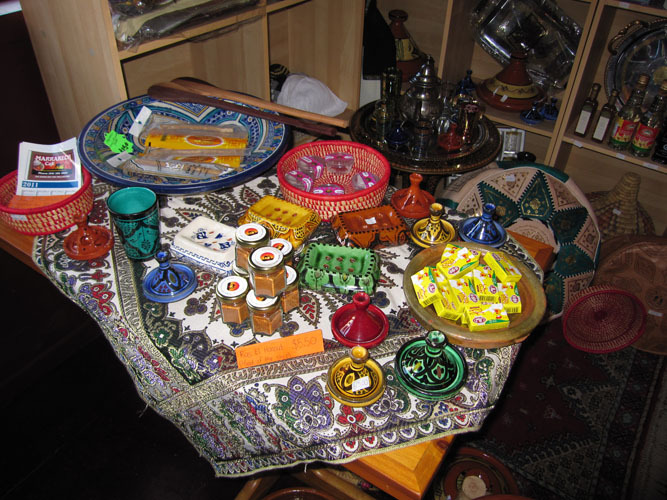 It is also known in Iran for the high quality of its handicrafts, especially silk weaving, and its confectionary. It is also a centre of Zoroastrian culture and the city itself has a Fire Temple, which holds a fire that has been kept alight continuously since 470 AD. Iran is not only famous for its historical places but also for its beautiful environment. Iran is a four season country meaning that while it is snowing in the Northern parts of Iran in winter, some cities in the South have pleasant spring weather. Forests in the North, Persian Gulf in the South, Desert in the centre and mountains in the West of Iran have made unique scenery for visitors to enjoy. Iranian culture is full of festivals during the year. Nowrūz is the most famous. Nowrūz is the name of the New Year in the Solar Hijri calendar. Nowrūz is also referred to as the Iranian or Persian New Year. Nowrūz is celebrated and observed in Iran, and has spread to many other parts of the world. In Iran, Nowrūz is an official holiday lasting for 13 days. Nowrūz marks the first day of spring and the beginning of the year in the Iranian calendar which usually occurs on March 21 or the previous/following day depending on where it is observed. During the Nowrūz holidays, people are expected to visit one another (mostly limited to families, friends and neighbors) in the form of short house visits, which are usually reciprocated. On the first day of Nowrūz, family members gather around the table, with the Haft Seen on the table or set next to it, and await the exact moment of the arrival of the spring. At that time gifts are exchanged. Haft Seen or the seven 'S's is a major traditional table setting of Nowrūz, the traditional Iranian spring celebration. The Haft-Seen table includes seven items starting with the letter 'S' or Sīn (س) in the Persian alphabet. serkeh vinegar symbolizing age and patience. On the last day of Nowrūz, families pack a special picnic and enjoy the outdoors with family and friends. Iran : empire of the mind : a history from Zoroaster to the present day / Michael Axworthy. Iran / this edition written and researched by Andrew Burke, Virginia Maxwell, Iain Shearer. The clear market leader guide to Iran - substantially longer, with better geographical coverage than the competition; Features a colour planning section; Includes detailed coverage of all key sights, including ancient Persepolis and the architectural wonders of Esfahan. Land of the turquoise mountains : journeys across Iran. Persian art & architecture / Henri Stierlin ; photographs by Henri and Anne Stierlin and Adrien Buchet ; [translated from the French by David H. Wilson]. Mirrors of the unseen : journeys in Iran / Jason Elliot. Black on black : Iran revisited / Ana M. Briongos ; translated by Chris Andrews. The Persians : ancient, mediaeval and modern Iran / Homa Katouzian. Shadows in the desert : ancient Persia at war / Kaveh Farrokh. Persian pilgrimages : journeys across Iran / Afshin Molavi. The Persian kitchen : home cooking from the Middle East / Neda Afrashi. A number of Wellington City Libraries' staff members were not born in New Zealand and have backgrounds that encompass many different countries, languages, and cultures. One of the many cultures we have represented on staff is Argentine. A very cool new display has been put up at Newtown (after spending a month at Miramar and another month at Central) by librarian Axel, who is from Argentina and has been living in Wellington for a few years now. 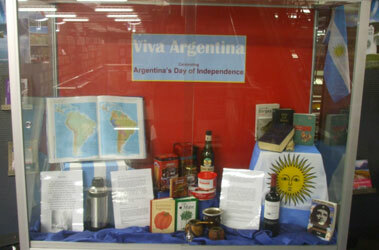 It shows off as much Argentine culture as is possible in a display cabinet, and if you check it out you will learn that Argentina has a LOT going on. Ada says: I am reading Walking with a fragile Heart: Short stories and poems by young refugees in New Zealand. Who are these young writers? Where do they come from? The seven authors for this publication have all come to Aotearoa New Zealand as refugees, and originate from Afghanistan, Burma (Karen people), Ethiopia and Rwanda. Abbas Nazari was born in Afghanistan and has been living in Christchurch since 2001. "I am a first year student of Law and Political Sciences at the University of Canterbury." Abbas believes that writing is important for people to share their stories as these help transcend barriers of understanding in our multi-cultural world. "That is why I have chosen to share mine." Selia Kassa was born in Addis Abbaba, Ethiopia and has been in New Zealand since 2011 living in Wellington. Selia attends Wellington Girls College. Solome Tadesse was born and grew up in Wellington. Her family came from Ethiopia. Solome attends St Catherine's College in Kilbirnie. Solome is 15 years old. La Nan prefers to be called Aroni Rain. He was born in Han Thaung Ku village Kayah State, Burma and then grew up in Thailand. He has undertaken and English Proficiency Programme (EPP) and also Foundation Studies at Victoria University Wellington. He lives in Porirua. Joshua Munezero im was born in Rwanda and has been in New Zealand for 6 years, living in Lower Hutt. Joshua attends Naenae College. "This writing course helped me to bring my emotions out and showed how I felt." Joshua is 17 years old. This collection of short stories is dedicated to the courage of all refugees who live in New Zealand - for their suffering and displacement from their homeland. Who are the people behind this publication? Of course publishing a book like this does not happen overnight! Refugee Trauma Recovery was previously known as Wellington Refugees as Survivors Trust and under that name has published two books of short stories written by young refugees. Earthless Trees was published in February 2009 and Beyond The Dark Journey was published in November 2010. Two years later they are proudly publishing their third book! Refugee Trauma Recovery hopes that this book will raise the profile of these special people and contribute to a better understanding about the issues they face as they settle and integrate into Aotearoa New Zealand. The Spring Festival is the most important festival for Chinese people and is the time all family members get together, just like Christmas. As the world's largest mass migration, people from all over China travel home to celebrate the Spring Festival. This year will be The Year of the Snake. The Spring Festival falls on the 1st day of the 1st lunar month, often late January or early February. However, in China, the Spring Festival actually starts on the 23rd day of the 12th lunar month and will last till the mid of the 1st lunar month of the next year. Now Chinese people have a seven day holiday for the Spring Festival. The 23rd day of the 12th lunar month is called "Xiaonian". On that day, people worship the Kitchen God. According to Chinese legend, the Jade Emperor sends a kitchen god to every family to supervise what the family members do in the whole year. Then the kitchen God will go back to report the good or evil of the family on "Xiaonian". And then the Jade Emperor will decide whether to give rewards or punishments to the family. In order to get rewards and avoid punishments, when people are worshipping the kitchen god on "Xiaonian", they usually set their best food before the portrait of the kitchen god and cover the mouth of the kitchen god with a special kind of sugar (Zhimatang), wishing the kitchen god to put in good words for the family. The 24th day of the 12th month is cleaning day. People clean the house from top to bottom inside and outside as well as their clothes, bedclothes and all their utensils to get rid off all the bad luck gathered from the previous year. It's called "the day of seeing spring in". On 27th day of the 12th lunar month, people shower or bath and go shopping. Shops are busy as everybody goes out to buy what they need for the Spring Festival including food, decorations, new clothes and shoes for the children and gifts for the elderly. Then people start decorating their clean houses. All the door panels will be pasted with Spring Festival couplets, highlighting Chinese calligraphy with characters on red paper. The content can be good wishes or good luck. Also, pictures of the god of doors and wealth will be posted on front doors. The Chinese character "fu" (meaning blessing or happiness) is a must. The character put on paper can be pasted normally upside down, as in Chinese the "reversed fu" sound means "fu comes". Some people raise two big red lanterns on both sides of the front door and some people paste red paper-cuttings on windows. Then the important Spring Festival Eve dinner comes. The meal is more luxurious than usual. Fish and Toufu cannot be excluded, as in Chinese, their sound means abundance and richness. And people are not allowed to finish the whole fish, which means you always have enough for the future. After the dinner, the whole family will sit together and stay up to see the New Year in, which is called "Shousui". Getting up early on the New Year day, everybody dresses up. People greet their parents first. Then children will get money wrapped up in red paper. People in northern China will eat "jiaozi" (dumplings) for breakfast, as they think "jiaozi" sounds like "bidding farewell to the old and ushering in the new". Also, the shape of the dumpling is like a gold ingot from ancient China. So people eat them and wish for money and treasure. Southern Chinese eat "niangao" (New Year cake made of rice flour) on this occasion, because "niangao" sounds like "higher and higher, one year after another." Don't clean for the first few days of the Spring Festival - if you do any sweeping during this time, you risk sweeping away your good luck. Lighting fireworks was once the most typical custom on the Spring Festival. People thought the exploding sound could help drive away evil spirits. However, such an activity was banned in big cities once the government considered security, noise and pollution. As a replacement, some people buy CDs with firecracker sounds to listen to, some break little balloons to get the sound, while others buy firecracker handicrafts to hang in the living room. A series of activities such as lion dancing, dragon dancing, and temple fairs will be held for days. The Spring Festival then comes to an end on the Lantern Festival which is the 15th day of the first lunar month. No matter where they live, Chinese people all over the world celebrate the Spring Festival. The students of Moriah School in Webb Street have collected 1.5 million buttons in all colours, shapes and sizes. That is one button for every child who died in the Holocaust during World War II. In a time like the Holocaust it is like living in a pitch black room, but every time someone does something for you its like someone coming in and lighting a candle. You need to focus on light. This memorial is planned to be built at the National War Memorial Park in 2014. If you want to know what the memorial will look like, have a look at this video clip made by the students. It is unique in that the project has been organised by children for children and is an opportunity to teach and share the stories of the young victims of the Holocaust with the world. The Holocaust Centre of New Zealand aims to collect and record the stories of Holocaust survivors who fled from Hitler's Europe, came to New Zealand and made new lives here. Their stories are available for education and research purposes. The project is supported by volunteers committed to telling the stories of those who suffered and those who were cruelly murdered, in ways that will inspire following generations, both Jewish and of other faiths, to combat intolerance wherever it occurs and respect the dignity of the lives of every man, woman and child. Christmas is the most anticipated holiday in the Philippines. Veronica writes about her family's celebration of Christmas below. Christmas decorations start popping up as soon as the month ends in "ber". The "Parol" a Christmas lantern can be seen everywhere by this time. As we are a predominantly Catholic country, a dawn mass known as "Misa de Gallo" or "Simbang Gabi" heralds the official start of the Christmas season. It is a series of dawn masses form Dec 16-24. After being colonized by 300 years by the Spaniards, most of our traditions are reflective of their culture as well. With the dawn masses comes a massive array of food available in stalls outside the churches. The bestseller would be the "puto bumbong" a purple coloured glutinous rice cooked in bamboo and served with grated fresh coconut, butter and sugar. Yummy! Christmas Eve mass will follow with a "Noche Buena" or midnight feast and culminate on Christmas dawn by opening the presents. We really stay up late to welcome Christmas day then we sleep in the next day. We try and practice all these here in New Zealand. The dawn masses have been adjusted to night masses organized by the Filipino Chaplaincy. There are also sometimes food stalls to buy the much sought after Filipino delicacies from home. We also come together as a family for the "Noche Buena" and gift giving. Christmas is a special way of showing you care and gifts doesn't have to be expensive. Gift giving is our way of saying you are valued and we feel good when we give. Filipinos are a resilient people and we can adapt to whatever will come our way. My family had continued with our much loved traditions here as it is our way of keeping our identity alive and well. Merry Christmas and a blessed New Year to all! On a beautiful sunny morning in Tawa, Subhashni from Tawa Library, Desigin from the Human Rights Commision, Joris de Bres (Race Relations Commissioner) and Ada visited St Francis Xavier School to present the students with their very own copy of My Story - a collection of family stories written and illustrated by the students in honour of Race Relations Day. There was a real buzz, especially as the second copy of the book, will be available to borrow from our library catalogue! Joris shared a bit of his journey coming to Aotearoa as a seven year old from Holland. 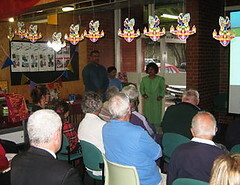 There were many greetings in Te Reo, Pacific languages and many other languages from all corners of the world. This was a great opportunity to work with our local schools, supported by the Human Rights Commission and to be able to participate in the Diversity in Action programme! A big thank you to Subhashni and the Tawa Library team in making this happen for the children! And also a big thank you to Esther Curnow, who did the bookbinding. Muslims believe Ramadan to be the month in which the first verses of the Qur'an were revealed to the Islamic prophet, Muhammad. Ramadan is thought to establish a link between themselves and God through prayer, charity, good deeds, kindness and helping others. The elderly, the chronically ill, and the mentally ill are exempt from fasting, although the first two groups must endeavor to feed the poor in place of their missed fasting. At the end of Ramadan, Eid-ul-Fitr celebrates the conclusion of the month of dawn-to-sunset fasting. Eid is an Arabic word meaning "festivity", while Fitr means "breaking the fast". Fasting means depriving my body of food and water to nourish my soul. As Muslims, during the month of Ramadan we do not consume any food or water from sunrise till sunset and despite being tired from the lack of energy, it is during this month that I feel the most alive, the most strong. Ramadan however is not only abstinence from food but rather everything that could harm ones humanity and modesty. Ramadan comes with it an air of mercy, compassion and joy. It is a time of togetherness and freedom that only those who fast can explain. Freedom from that which would harm my eyes, my ears, my soul. Ramadan is a time of rebirth and reflection that takes a heavy weight of the heart. Ramadan is a time of change for the better. It sparks inspiration, motivation and a consciousness of God that humbles even the most arrogant. So what does Ramadan mean to me? It means everything. Every year on June 20 the world honours the courage, resilience and strength of refugees. Global attention is focused not only on the plight of refugees and causes of their exile but also on their determination and contribution they make to their host communities. The history of refugee resettlement in New Zealand formally began with the intake of 800 Polish people, predominantly orphaned children, during the Second World War in 1944. Since this time New Zealand has continued to receive a range of people from diverse cultures including Eastern Europe, South East Asia, Africa and the Middle East all of whom have added to the richness of Aotearoa. Anna Costley, from the Newtown Community & Cultural Centre, interviewed Ukyaw Maung and the article was published in the Newtown News. She has given me permission to share his story below. June 20 is World Refugee Day, and I wanted to celebrate one of the many people with refugee backgrounds living in our community. So I paid a wee visit to the Newtown ESOL class and met Ukyaw Maung, a smiling man from Myanmar who didn't mind me stumbling over my pronunciation, or pointing a camera in his face. Ukyaw Maung has been living in New Zealand for three years. He is Rakhine, a predominantly Buddhist people group from the western coast of Myanmar, who are distinct from the dominant Burmese culture. Under the former oppressive government regime in Myanmar, the Rakhine people held no rights. Their language, Arakanese, was not allowed to be taught or spoken in schools. "We had no voice. We had to be silent," Ukyaw tells me. The Rakhine independence Movement has been simmering since the time of British rule, but has been continually repressed by the ruling bodies. Being politically active in any way was violently suppressed by the military rule in Myanmar (which ended just last year). His own brother's involvement in the Rakhine independence movement led officials to interrogate Ukyaw's family. They then seized his fishing boat when he refused to provide information about his brother. Ukyaw was left with no way to make a living, or to feed his family. Meanwhile, his brother had escaped to Malaysia and been granted refugee status in New Zealand, and 2 years later, Ukyaw and his family were able to follow suit. When I spoke with Ukyaw, his third brother had just been given clearance to enter Malaysia, where he will hopefully be granted refugee status to reunite with his family in New Zealand too. I ask Ukyaw about his first impressions of New Zealand. "I thought it was very beautiful, but very different," he says. He was particularly struck by the fact that we have electricity 24/7 - in Rakhine state they only have three hours per day! What was the hardest thing about settling in to NZ? "Learning to speak English, and finding a job," he replies straight away. But these are hurdles that he is well on his way to overcoming. Currently Ukyaw spends his mornings learning English in Newtown. He also has a part-time job cleaning at the Compassion Centre in town. Ukyaw lives in Newtown with his wife and three children, including a newborn daughter. He whips out his phone to show me a photo of her (I can confirm that she is excessively cute). "She is two months and four days old," he tells me proudly. Her first name means 'starlight' in english, and she is the first of his children to be born in New Zealand. And the last - her middle name translates to 'last one'. "No more children now," he says with a big smile. I ask Ukyaw what he likes best about Newtown. "I like this English class, and the library, and the zoo," he replies. "It's a good area." He's a great walker, and whenever possible he likes to pick up his rods and walk over to Evans Bay to go fishing. "Would you like to return to Myanmar one day?" I ask Ukyaw. "Maybe in ten years, when there is a new government, and democracy, I would like to see my father and mother," he replies. But only for a holiday, he adds - Newtown is very much his home right now. We would like to add more refugee stories. Please contact us! Earthless trees : short stories by young refugees in New Zealand / [edited by Pauline Frances]. Beyond the dark journey : short stories and poems by young refugees in New Zealand / [edited by Pauline Frances]. Human cargo : a journey among refugees / Caroline Moorehead. New Zealand's first refugees : Pahiatua's Polish children / [editor & production, Adam Manterys ; commissioning editors, Stefania Zawada & Stanislaw Manterys ; photo editor & archivist, Jozef Zawada]. Becoming English / by Eva Tucker. Walking through Wellington's older suburbs you notice a lot of interesting looking homes. You wonder who lived there, what stories are hidden behind those walls? I became aware of the story of this house pictured below in Rintoul street, Berhampore while attending the Yom Hashoah -- Day of Holocaust Remembrance ceremony at the Wellington Jewish Community Centre in Webb street. After the First World War, a childless couple in Wellington, Max and Annie Deckston, established a Jewish Orphanage at the above address where children could be reared in an atmosphere of peace. The movement started with the immigration of one orphan girl, followed by twelve children in 1935 and a further twelve in 1937. Most of their families did not survive the Holocaust (HaShoah). Their story has been chosen as the Opening Exhibition of the Holocaust Centre of New Zealand. Mixed blessings : New Zealand children of Holocaust survivors remember / edited by Deborah Knowles. The violinist : Clare Galambos Winter, Holocaust survivor / Sarah Gaitanos. You may be Tangata Whenua, your family may have been Early Settlers, or you have arrived recently. We'd love to hear your stories. Maybe you want to write them down or maybe you are happy for us to interview you! Please get in touch, give us a short summary and we will contact you. The first time Eva came to New Zealand was 10 years ago for a holiday and to visit George, who she met online. When she returned to Hungary she was sure that she wanted to return to New Zealand despite the challenges. She used to say to friends and family before making the big move "I am a little bit Kiwi but I don't speak English". In "an unexpected and courageous move" - as she recalls - Eva immigrated permanently to New Zealand in 2004. Since then she has lived in Island Bay with George, who has helped her to settle in. He has first-hand experience with immigration - he arrived from Hungary well before Eva, fleeing the Communist regime in 1956. A speech therapist, Eva was at first concerned with her career. She was not able to work as a therapist here because of the language barrier, so George encouraged and supported her to explore new activities. "He helped me realise that I had already worked too much in my life so now it was time to enjoy," she says. "Since I couldn't continue in my profession, I had to occupy myself with something else". Eva is now retired, but she contributes a lot to our community. She is a Volunteer Wellington member and has been an SPCA volunteer for years, fostering kittens until animals are adopted. She is a very active member in the Hungarian Society and helps with the Feszek group (meaning 'nest') which meets monthly to socialise and keep the culture and language alive. She also writes articles for two different magazines in Hungary, one about cats and the other for Hungarian expats. Eva says during her time here, photography became her favourite hobby. She enjoys capturing local landscapes, animals, plants and people. She walks around the city and photographs what she sees, sometimes hundreds of photos in one day. It could be a place, a moment, a panoramic view, or "anything I consider beautiful, funny or pleasing to the eye. I sometimes call myself a positive paparazzo," says Eva. George says it is more than a hobby because Eva carries her camera everywhere she goes. "She is always ready like a scout," he says. To which Eva replies "just in case. You never know when I could capture a good moment". Photography is also a good way to meet new people. Eva always introduces herself and asks permission before photographing people. Then she shares the photographs with them online. Eva's photos can be found online, and they attract viewers from all over the world - allowing others to discover Wellington. "Websites make it easier," she says. "My photo albums have become my diary. My friends and family in Hungary can see what my everyday life in New Zealand is like. At the same time, people who I have never met also get in touch with me because they are interested in the images". Eva is also delighted about her first solo exhibition - entitled 'Looking Around'. The collection - 12 contemporary panoramic photos from around the Wellington region - are on display at the Colonial Cottage Museum in Nairn Street. And to Eva's surprise, two of the photos were sold on the first day of the exhibition. She welcomes everybody to see her work - it's there until mid-March. It's free, so don't miss it! My great-great grandparents Hector Fraser and Dolina Mclean arrived in New Zealand from Nova Scotia in 1858 on board the ship "Breadalbane". They were part of the great migration from Scotland to Nova Scotia and then on to New Zealand. They, along with 800 other Scots settled in Waipu, Northland. The migration came about after they were forced to leave the Scottish highlands. The group, lead by Norman McLeod, a Presbyterian Minister, travelled to St Anne, Nova Scotia where they settled for several years. However cold winters, crop failure causing famine and economic depression lead the people to search for more favourable land. Norman McLeod's son sent news of Australia to the settlers, and it was decided they would migrate there. A group set about building two ships and preparing food for the 5 month journey across the other side of the world. But by the time they arrived in Australia, no land could be found, as the gold rush had put a lot of demand on land. Reverend McLeod looked to New Zealand, and decided the north had the best land and climate for a new settlement. When news reached Nova Scotia that the group had carried on to New Zealand, four ships were prepared for the remaining Scots, although some chose to stay in Nova Scotia. The last ship to arrive, carrying 260 settlers arrived in 1860. Sources: Those who speak to the heart : the Nova Scotian Scots at Waipu, 1854-1920 / Maureen Molloy. & The Waipu Museum. 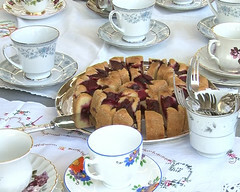 In March of 2011, Wellington City Libraries hosted a series of "Put the kettle on" events at several branch libraries. 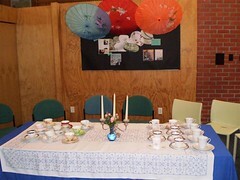 The idea was to focus on the social customs and stories surrounding tea and coffee traditions. It all started with the Dutch group of seniors who have been meeting on Wednesday mornings at the Island Bay Community Centre for many years. We visited to meet with the group and find out their story. The coffee is good and plenty of Dutch delicacies were on offer. 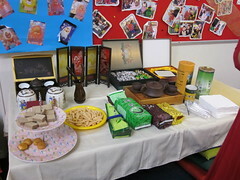 Sessions we hosted included a Chinese Gongfu Cha tea ceremony, an Oromia Ethiopian coffee ceremony, an English high tea, and a Masala tea ceremony. Suzy's : a coffee house history / Susette Goldsmith. High tea / [food director, Pamela Clark]. High tea at the Victoria Room / Jill Jones-Evans and Joe Gambacorta. The empire of tea : the remarkable history of the plant that took over the world / Alan Macfarlane and Iris Macfarlane. Dim sum : the art of Chinese tea lunch / written and illustrated by Ellen Leong Blonder. The fair trade revolution / edited by John Bowes ; [foreword by Mary Robinson]. 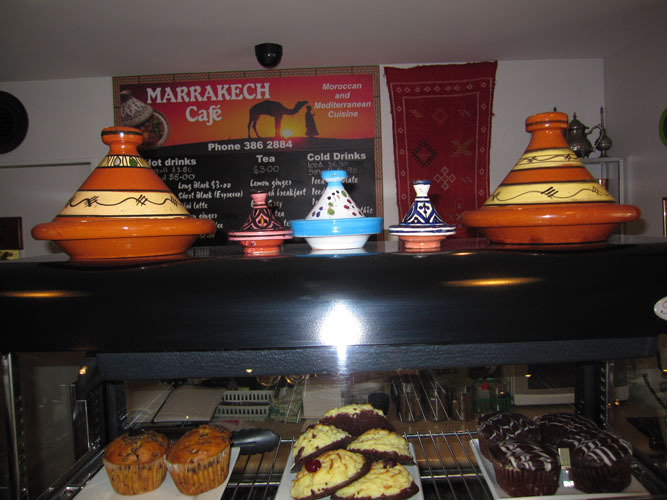 In the video clip on the right, Abdelghani shares his love of authentic Moroccan cooking and hospitality. Have a listen! I have known Abdel and his wife Zahra for many years now and feel privileged to be invited to their house and listen to their childhood stories. 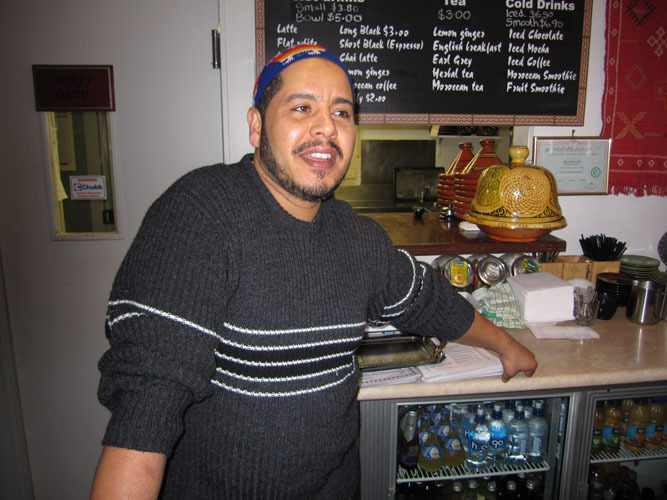 Where did Abdel learn to cook such a wide variety of authentic Moroccan dishes and be so knowledgable about Moroccan hospitality? His secret? His mother taught him all he needs to know! Make it Moroccan / Hassan M'souli. 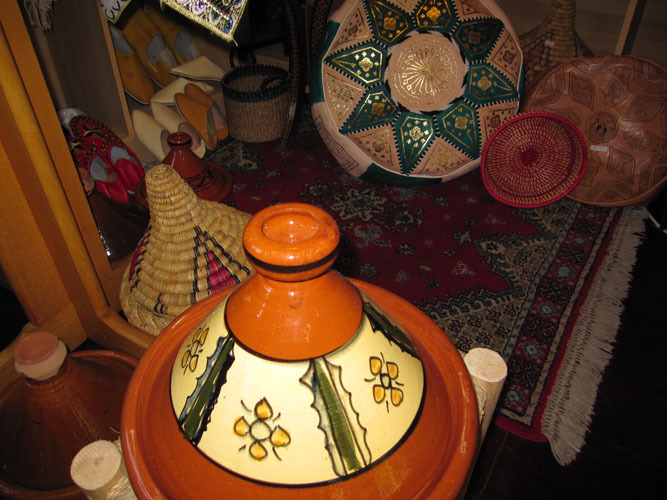 Tagines & couscous : delicious recipes for Moroccan one-pot cooking / Ghillie Basan. Culinary adventures in Marrakech / Peta Mathias. Newtown is one of the most exciting, diverse and vibrant communities in Wellington. Newtown's shops and businesses reflect this diversity. 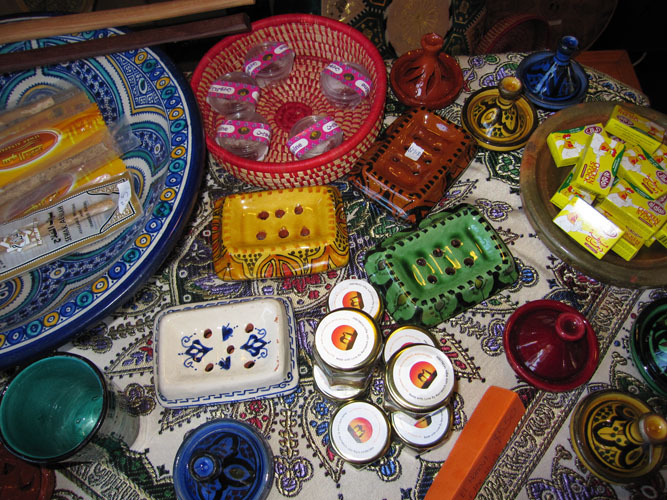 From the Halal butcher, Middle Eastern treats, Indian specialities, African fashion, we have it all! We photographed shopkeepers, mechanics, firemen, and asked them why they love their suburb so much. Mouseover any image below to find out!